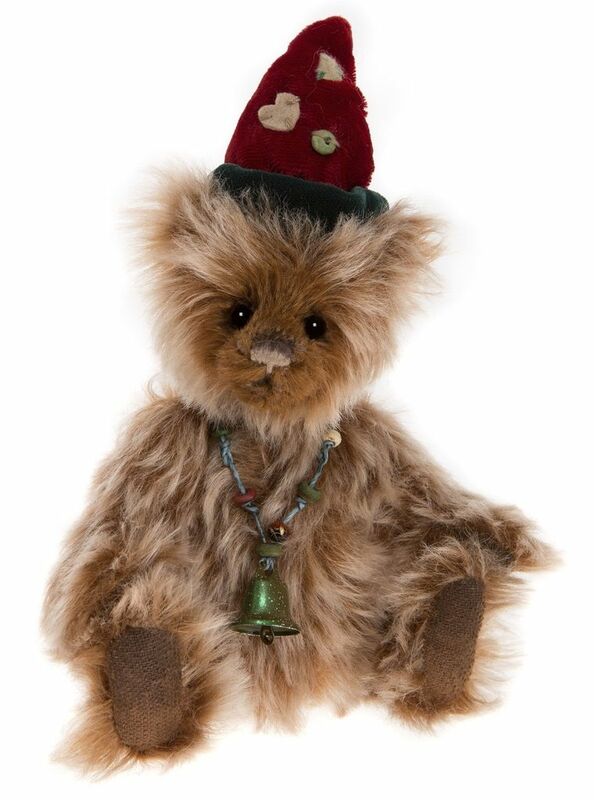 A fully jointed limited edition miniature bear elf from the Minimo "Wintery Tales" Collection made from mohair in shades of elf boot brown and features a tiny hand embroidered nose and mouth, a trimmed muzzle with airbrushing detail, wearing a velveteen hat and corded necklace adorned with a bell. Supplied with a grey jersey storage bag depicting the Minimo logo and embroidered signature. Size: 15cm/6"